This is a lovely omelet with a twist and very versatile. 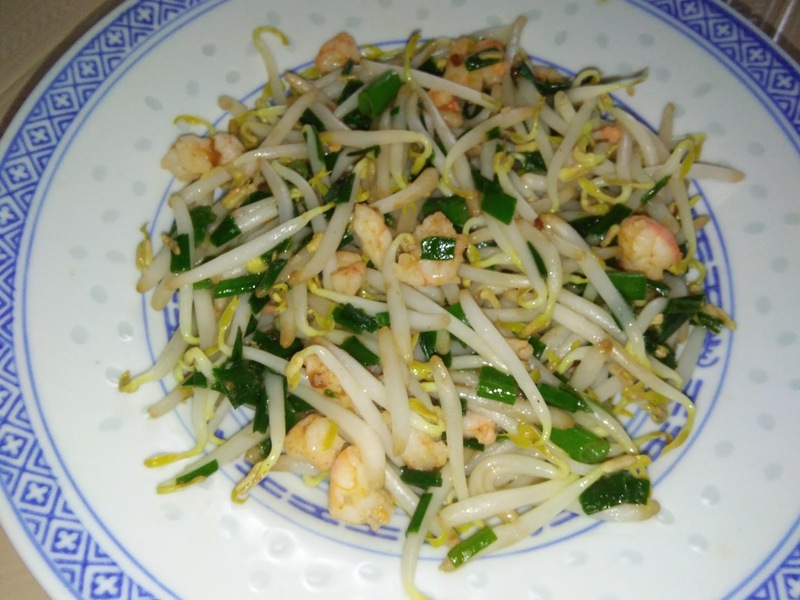 You can substitute the shrimps with pork, beef, crabmeat [fresh or canned]. 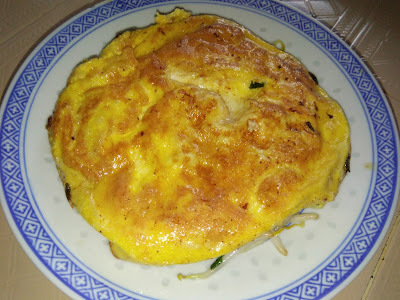 The fluffy egg omelet is light, soft and moist and aromatic. It is a simple omelet served with the fried bean sprouts, shrimps and light sauce that looks tempting and delicious to the young and old. Good flavor. 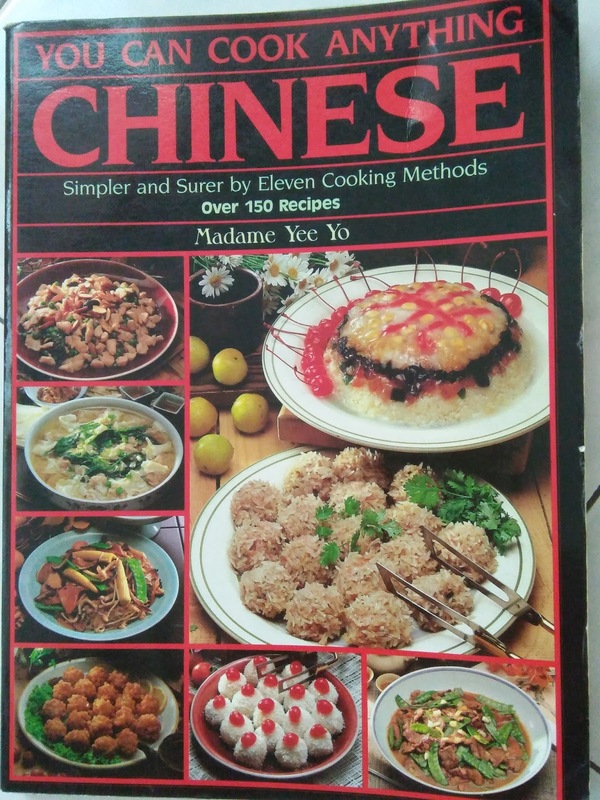 I would definitely try this recipe again with other substitutes mentioned above. I believe it would turned out awesome. Marinate shrimps with some salt, pepper, wine and cornstarch. Mix well. 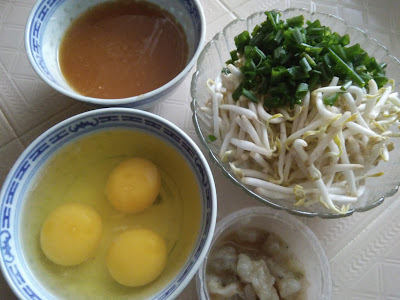 In a bowl, mix together 1 tsp flour, 1 tsp water and ¼ tsp salt. Add in the eggs and beat until foamy. 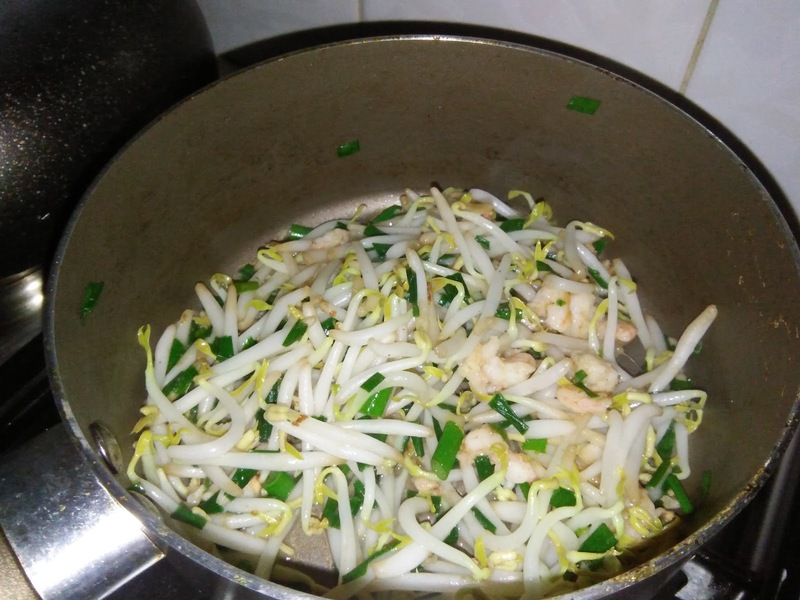 Heat 1 tbsp oil in a non-stick wok, sauté shrimps until firm, add in bean sprouts and spring onions. 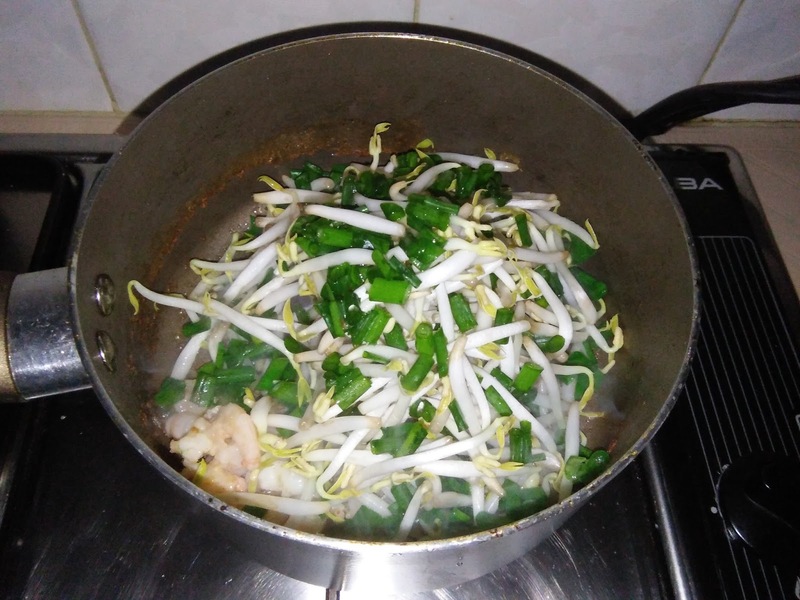 Quickly stir to cook, do not overcook. Dish up onto serving platter without liquid. 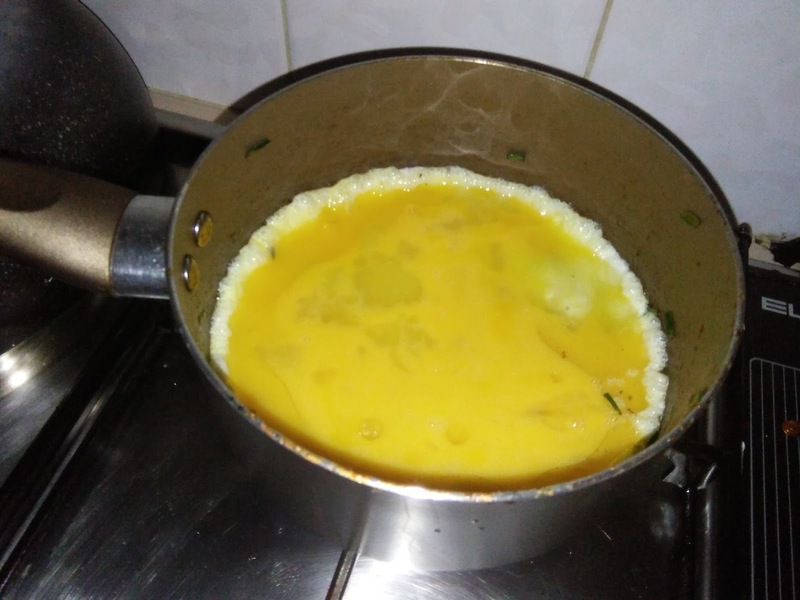 Drain liquid into sauce mixture. Heat 1 tbsp oil in a non-stick pan, pour in the egg mixture to fry. 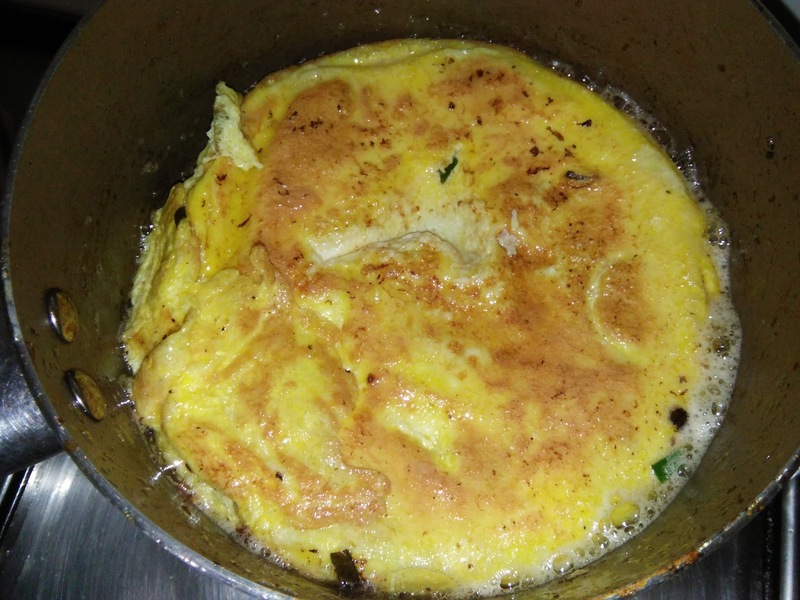 Cover to cook over medium heat until the edges are crispy and firm, flip over to fry the other side until omelet is cooked through. Dish up and place on top of fried bean sprouts. 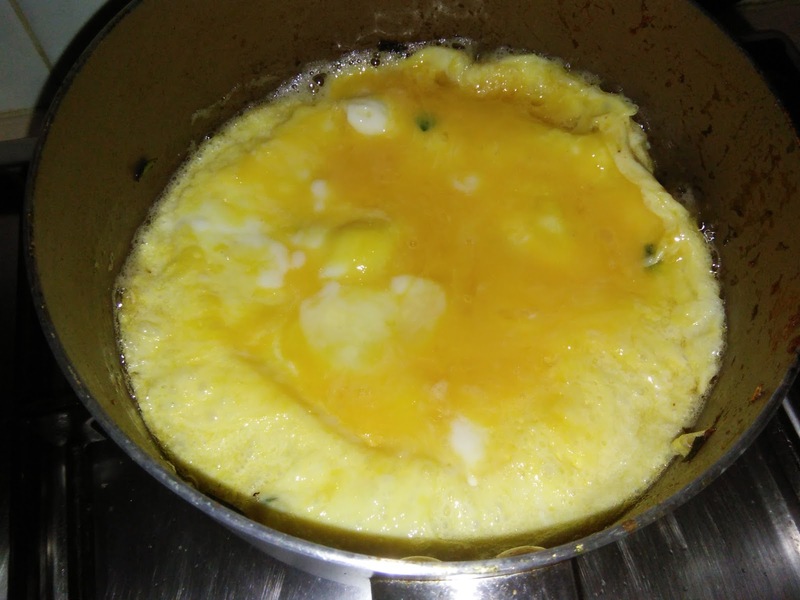 Using the same pan, bring sauce ingredients to boil until thick, pour over omelet. Wow! 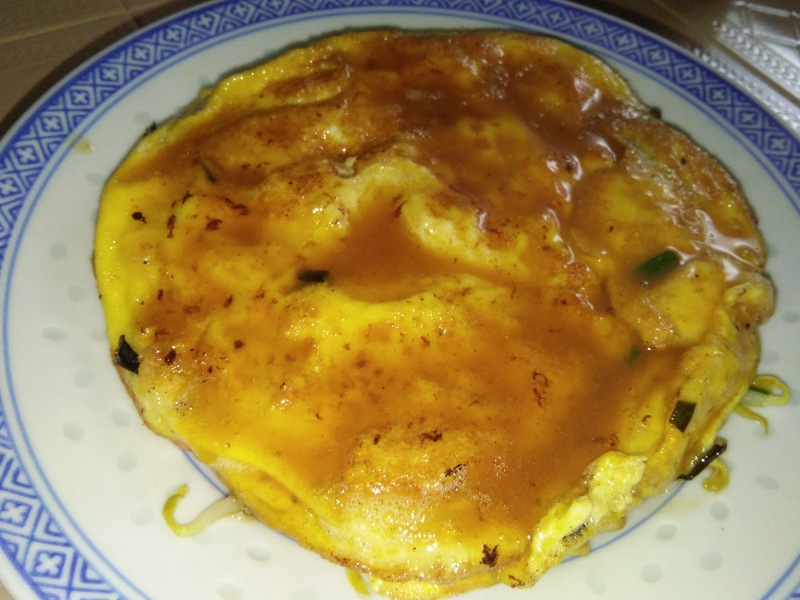 Omelette with a twist. That is indeed different. 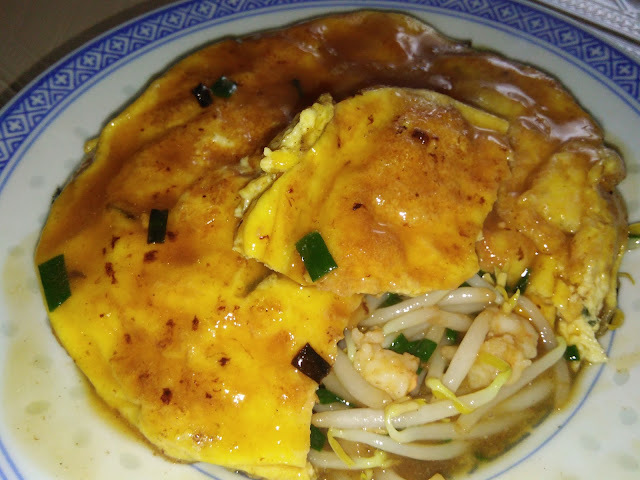 I love prawn omelette but never thought of add bean sprouts in it. Must be so good. 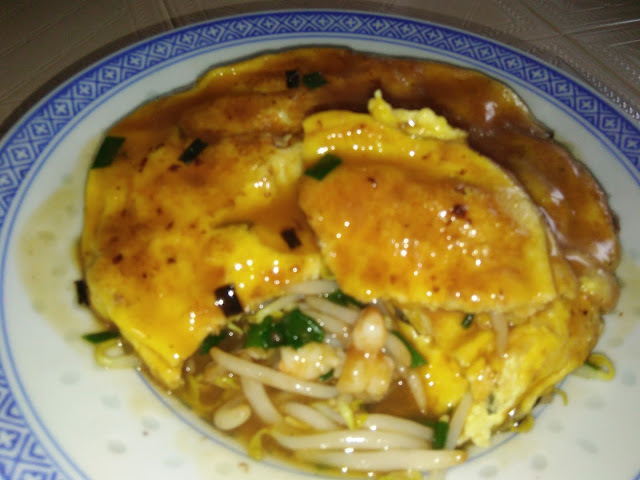 I love the crunchiness of taugeh. Hi Rose World, this is a lovely omelette with some gravy. The taugeh and prawns are just fried till cooked, crunchy,yes and blends so well with the fragrant omelette. This dish would be great with plain porridge! 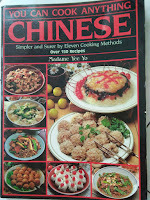 Hi Joyce, surprisingly good dish if we like to have a variety in a meal. 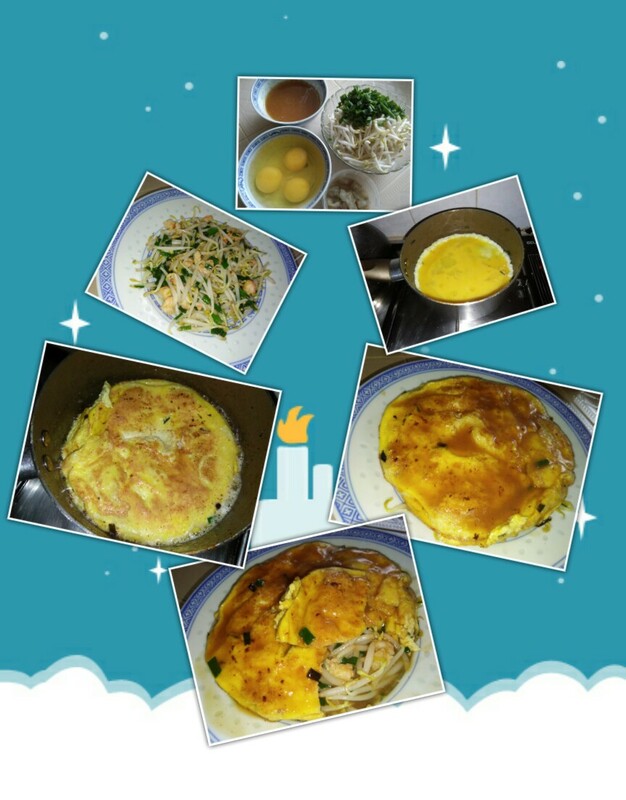 I love the fluffy egg omelette, looks nice and tasty good.